Interview: Are we accidentally genetically engineering the world’s fish? Mikko Heino is a researcher in the IIASA Evolution and Ecology Program who over the past 18 years has worked on the problem of fisheries-induced evolution, showing that selective harvesting of bigger fish can lead to evolutionary changes towards smaller and faster-maturing fish populations. A new review by Heino and colleagues explores the accumulated evidence on the topic, and future directions for new research. In agriculture we are used to thinking about selective breeding: farmers select the best animals or plants to breed, in order to improve their fitness or select for certain traits in the next generation. They are intentionally trying to improve the stock used for breeding. In fisheries, the opposite happens: fishermen usually try to catch the fish that are more valuable—bigger and heavier. Consequently, those valuable kinds of fish are less likely to reproduce and contribute to the next generations. It’s not intentional, and maybe because we don’t see the fish that are left behind, people are not used to thinking of this as selective breeding—and they may not realize that in the long term it could harm the productivity of the whole fishery. What kinds of evolutionary changes do your research show that you would see from fisheries? Most of our data comes from fisheries institutions. We have a lot of data on maturation—the age at which fish start to reproduce. Studies show that heavily harvested fish populations may mature faster and start reproducing earlier. There’s also some data on growth, showing that fisheries pressures can lead to slower growth rates, with fish staying smaller. In recent years, experimental studies have shown that fishing is also selective with respect to behavioral traits. Some fish are bolder than others and those bolder fish may be more likely to be captured by gillnets or traps, because bold fish are more explorative, they like to investigate things, and by doing so they may end up in a trap. But at the same time, they may be better in escaping fishing gear like a trawl. Why is it important that we understand what’s happening with fisheries-induced evolution? At one level it’s important because changes in these kind of traits will affect the productivity of fish stocks—and based on our current knowledge, these changes are often negative, leading to lower productivity. However, some parts of these changes may be positive in the short term, because they may enable fish stocks to tolerate higher levels of fishing without collapsing. Yet in the long term, we would expect fisheries-induced evolution to lead to reduced productivity, and lower yields. And that’s quite worrying, because fish are an important part of the human diet, especially in many coastal developing countries. What are the major questions remaining in this research? One big question arises from the fact that evolution of course implies genetic change. In fisheries, we are observing this evolution at the level of phenotypes—visible, directly measurable characteristics. To be sure that we really observe evolutionary change, we also need to understand the genetic basis for these kinds of changes. There are ongoing projects trying to look at it the genetics of fisheries-induced evolution. But it’s a lot more difficult than it sounds because life-history traits and behavioral traits are affected by many genes. It’s not like there’s one gene for early maturation. There are probably tens if not hundreds of genes that have some influence on maturation. And that means that at the level of a single gene we may not see very much change at all. And trying to identify those changes and separate those from random drift, and from changes caused by other factors, is actually quite difficult. Sequencing genomes is easy nowadays, but finding a signal in the resultant large amounts of data is not simple. If you have more data, you also get more false positives. Basically, either you need to sequence a lot of individuals, so you can separate the different signatures. The other possibility is to try to analyze data from selection experiments, because in an experiment you can try to exaggerate the changes. That’s maybe the most fruitful avenue in the short term. 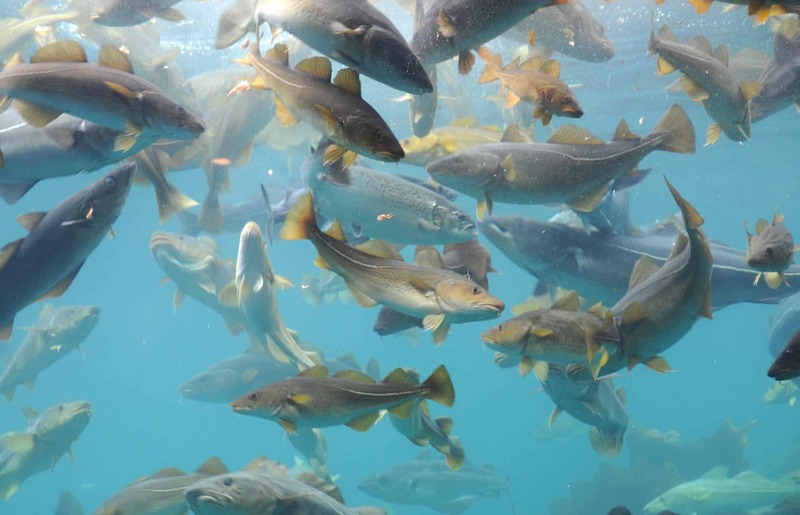 What can fisheries managers do to avoid unintended evolutionary changes? We’re currently exploring that question. We more or less know that it’s not possible to avoid all types of evolutionary responses. But we can still try to minimize harmful changes, by fishing in a way that does not cause much negative change in productivity. Of course, fisheries-induced evolution will not be the only thing we care about when managing fish stocks. It has to be seen together with other objectives. Yet the simplest way of reducing unwanted evolutionary changes is to keep fishing pressure at moderate levels. That’s the single easiest and most certain way of reducing unwanted evolution, and that’s in agreement with what scientists recommend from other perspectives too. What are the dangers of failing to account for fisheries-induced evolution? The danger is that it’s much easier to cause these changes than to reverse them—on practical time scales, these changes are more or less irreversible. So whatever changes we cause, will be around for many generations to come. That’s a reason to be precautionary. We don’t have absolute certainty that this is happening, but there’s a large body of research showing that it is quite likely to happen, and since if it’s happening it’s more or less irreversible, then we should avoiding it even before we have full scientific certainty. There is quite a similarity between climate change and fisheries-induced evolution. Both processes happen on long timescales—at the level of a few years, the change is not much. But it is a change that will accumulate, and if you let that happen for longer periods, you end up having very significant changes. So it’s easy and attractive to ignore it in the short term, but that’s a dangerous position in the long term.